The day is fast approaching when Mr. Stavros Dimas's will shall prevail and we Europeans shall drive lightly on the earth, if we are to drive at all. You would scarcely have seen a hint of this in the shortlist of seven in this year's contest, with no ground-breaking emissions reduction technology featuring, nor, with one honourable exception, the sort of pre-End Of The World As We Know It performance car madness we have come to expect from the German prestige Big Three for as long as they believe they can get away with it. If a boutique car based unashamedly on a three-year old platform can ever be a worthy Car of the Year, the Fiat 500 (385 points) is it. The interior is even better than the exterior, and there's the promise of a mad parallel-twin engined performance edition. Perhaps the best is yet to come - for those of us wary of the Fiat's retro egregiousness, there's next year's Ford Ka on the same platform and built in the same factory in Tychy, Poland. 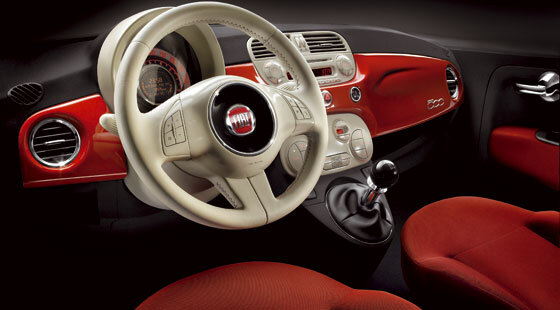 Given that the Panda won COTY in 2004, do Fiat get to keep the trophy if the Ka wins next time round? The Mazda 2 (325 points) deserves credit for its intent more than for its execution. 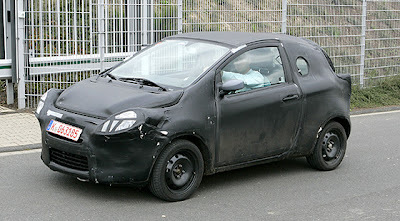 The body has a leaf-like gracefulness woefully absent from the current European crop of bloated tank-like superminis. Weight saving is the car's unique selling point, and its 1030kg compares well with the 1160kg of a comparable Opel Corsa, or the Peugeot 207 at 1156kg. The lightweight champion Toyota Yaris weighs 20kg less, so the Mazda's well short of being class record holder. There's some evidence that the "add flimsiness" approach of the current MX-5 manifests itself in its supermini sibling, but overall, a sign of the direction whch superminis should be following. Manifestly taking the wrong direction is the enormous Ford Mondeo (202 points). Now occupying more road space than the largest Scorpio ever did, and scarcely lighter than that fish-faced behemoth, the Mondeo looks incongruous on congested and constricted European roads. Surely set to be further marginalised on its home territory by its sheer size, the Cortina's tenth iteration possibly makes more sense in the increasingly important markets of China, India, and South-East Asia, where its natural competitor is the similarly-sized Toyota Camry. The fourth place for the Kia Ce'ed (166 points) largely reflects the influence of Eastern European jurors. The neatly styled Slovakian-built car is remarkable for nothing other than the length of its warranty. The Koreans have certainly caught up with Japan and Europe in many areas, but there's no evidence of a repeat of the impending technological, manufacturing, and commercial dominance demonstrated by Toyota and Honda twenty years ago, which was to be such a wake-up call to the rest of the world's carmakers. Imagine if Chrysler France had, in the mid-1970s replaced the Simca 1100 with the Rancho, rather than the Golf-manque Horizon. Given the present popularity of soft-roaders, Nissan's replacement of the mainstream Almera with the high-riding Qashqai (147 points) is less bold, but it commendably follows the under-regarded Note in offering practicality and a quirky distinctiveness which recalls '60s and 70's French cars. It's also notable for having soundly beaten VW's dismal, overpriced and pointless Tiguan to the final seven. Nobody was expecting Mercedes-Benz to replace the C-Class (128 points) with a radical sector-buster, and the latest iteration builds organically on the familiar formula set with all-time 5ivegears favourite, the W201 190E. I'll not yet retract my previous comments that it looks Korean from some aspects, and seems more inspired in its shape by the 1990-97 E36 BMW 3-series than anything from Stuttgart, but more creditable is the hommage to Harris Mann (Ahead Of His Time), in the form of the bold TR7 / Princess-like side swage line. Similarly commendable is the storming, very pre-End Of The World As We Know It AMG C63 - it's unlikely that particular variant swung the opinions of the notoriously anti-elitist COTY jurors! Deserving something far worse than bottom of the final shortlist, the Peugeot 308 (97 points) embodies the two worst automotive trends of the early 21st century, Bloatedness, and "End of History" styling in a fat caricature of its predecessor with a variant of the downright odd back-end treatment which didn't look right on the Renault Vel Satis and Seat Toledo. It's hard to imagine any right-minded person living out their days and nights in a state of constant desire for this Peugeot.